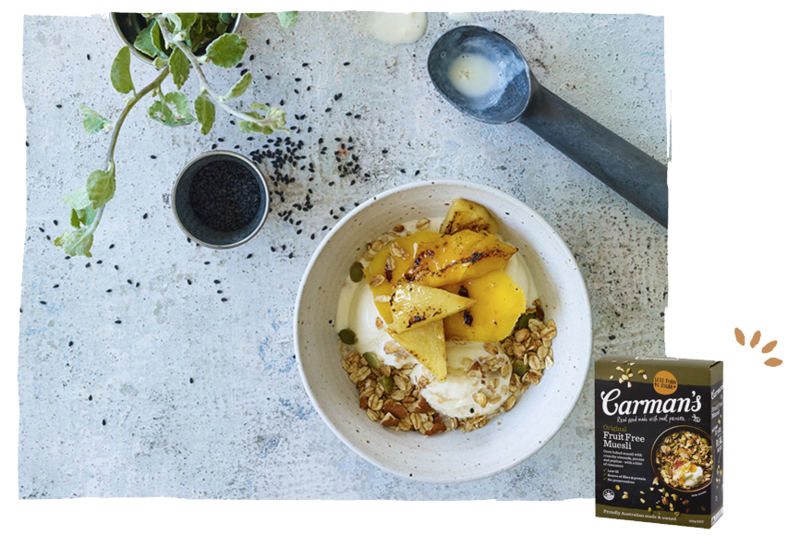 Drizzle with the muesli sundae with the lime syrup and finish with a sprinkling of black sesame seeds. 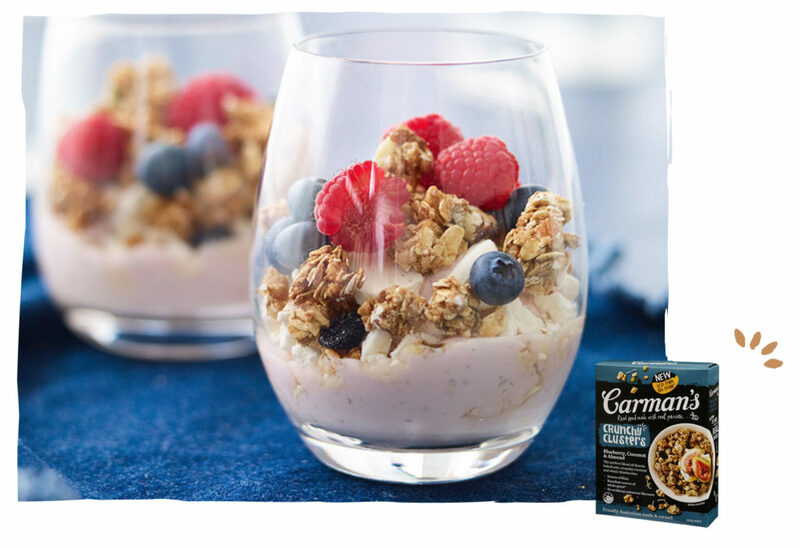 Spoon a few tablespoons of the Dairy Farmers Raspberry & Coconut Yoghurt into four separate serving glasses or bowls. Smash the mini pavlova cases and sprinkle the shards over the yoghurt. Layer a small handful of Carman’s Blueberry, Coconut & Almond Crunchy Clusters over the top. To finish, add as many raspberries and blueberries as you wish.